A dumb like me is not any way capable of understanding such big thing but one quality of me is I never give up! Let me try in very short term. Higgs Boson (quantum excitation of Higgs Field) is an elementary particle in Standard Model of particle physics. 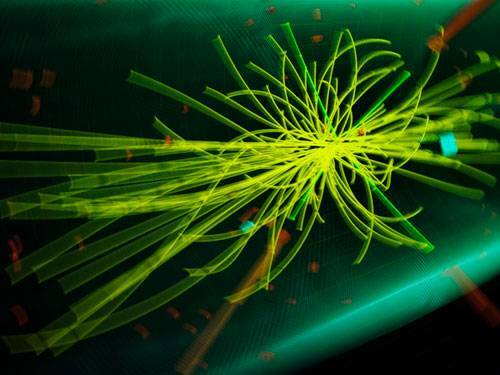 This particle was widely known and God’s Particle. A specific situation of this particle field gives mass to the other elementary particles like quarks, electrons. To know more about Higgs Boson, visit wiki. Higgs Boson is a particle of Bosons types of particles. Subatomic particles has two fundamental classes of them and bosons is one of them. So, Bosons is one of the fundamental class in subatomic particle. Bosons are characterized by their obedience to Bose–Einstein statistics. And why it call Bosons? Because its named after a surname of self-taught Bengali Scientist Satyendra Nath Bose! Did you start feeling a little bit proud? I did when I know this! He born in Calcutta but was most known as a Bengali Scientist. 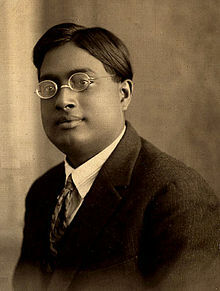 Satyendra Nath Bose.. Most of us must have known his name. One of his great work Bose-Einstein condensate was started when he was a senior professor (Reader) in Physics Department of University of Dhaka. Its story of back in 1924. Many many years gone! Science has advanced in a way it never happen in earth’s life. Now we have latest technology in our hand, greatest communication media.. More people goes to school, college and university but we did not find another Bengali scientist like him. I don’t know what’s the reason behind that and what you think the reason could be, but what I pointed is, he was a self-taught person. Even if we see history, most of great minds ware self-taught persons.. So did we lost our courage or we already give up of nothing? 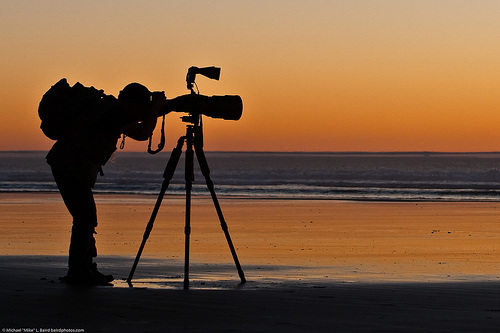 Among the non professional or armature photographers, people always have some questions on mind that how professional photographers manage their photography? Google+ (social network) is the hottest topic in web now. Some people are calling it FB Killer but G+ is saying its new kind of social network. 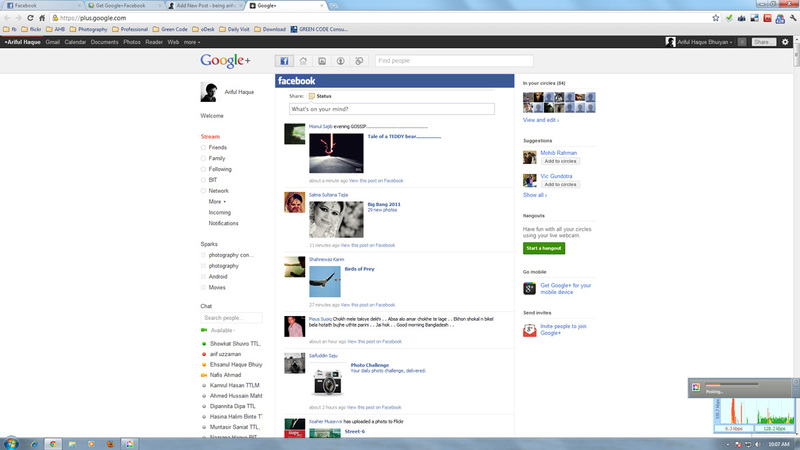 Who want to use Facebook from Google+ interface, here is the solution for them. 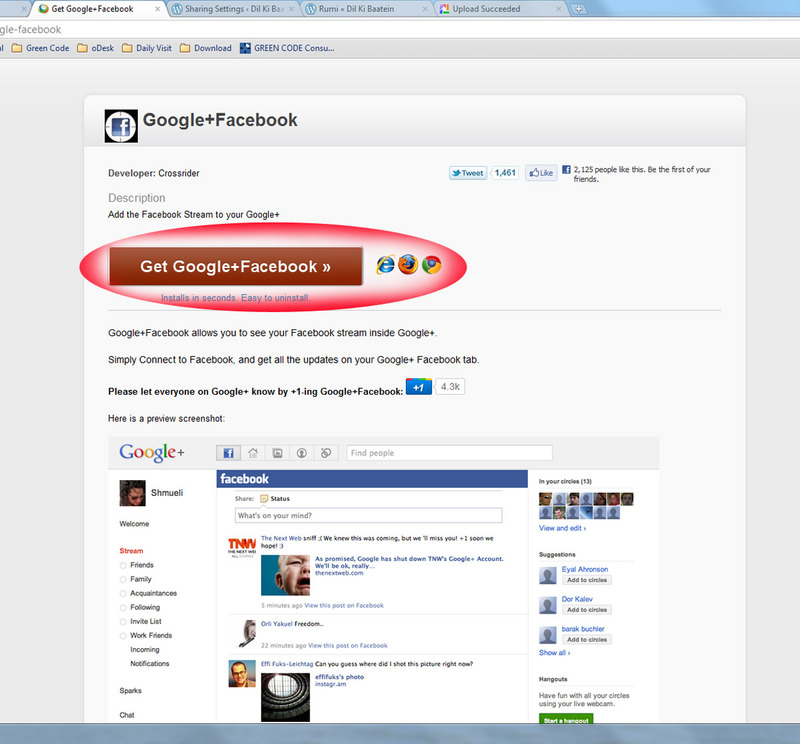 Goto this link and click on Get Google+Facebook button. 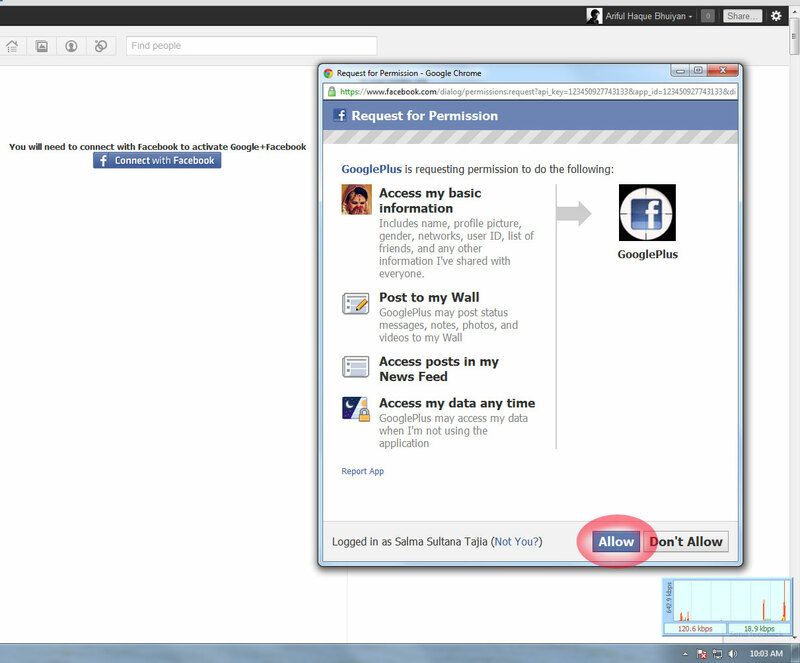 A window will appear asking to Continue to install Google+Facebook extension. Click Continue. A F button will appear in Top. Click on the button and then the page will ask permission to Connect with facebook. Allow the Request for Permission. Though its a few day late to say but I believe Late is better then never. 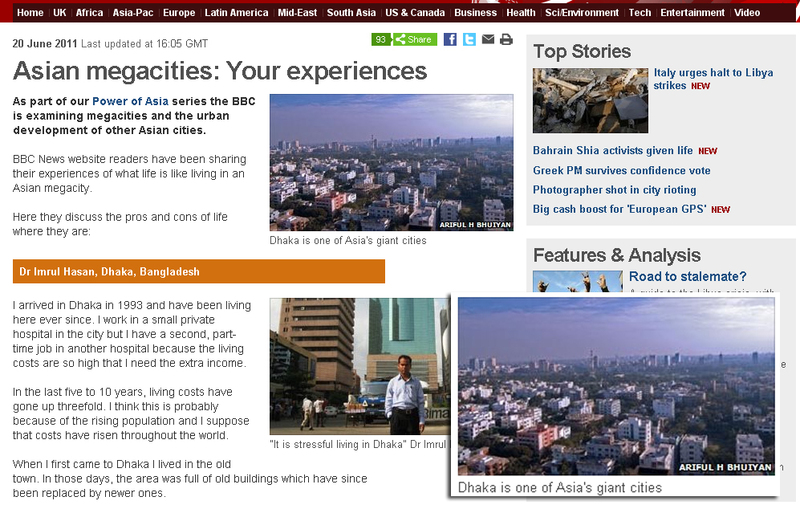 One of my photo is used in BBC News,Uk to show Dhaka as a megacity of Asia. 1week before publishing, they took proper authorization from me. Here is the photo in flickr. A BBC Journalist found my photo in flickr and mailed me in flickr that thay want to use the photo with editorial license. As BBC is a very very big brand, I permitted her to use my photo. Finally they published the photo in 20 June, 2011. 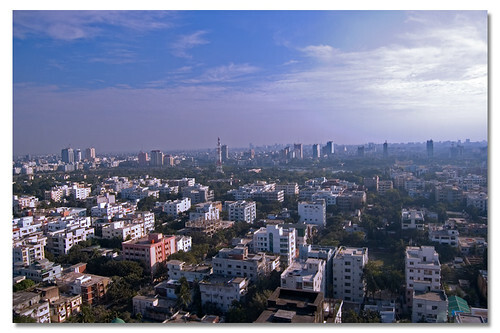 Name of the Article is Asian Megacities: Your experiences Click the article name to visit the news. Here is a screen shot of the news.